What remains to be seen is whether the IMF will use this research to develop policies that grow the economy through redistribution. The most important inequality-related news of the week was the release of a new IMF report that found that lower inequality is correlated with faster growth. This marked an amazing reversal. The IMF made itself notorious over the years through its strong support of anti-equality economic policies such as austerity budgets and radically weakened labor laws—all in the name of economic growth and development. But this week, the organization finally admitted that such policies aren’t associated with growth, after all. Indeed, according to their study, “redistribution appears generally benign in terms of its impact on growth” (emphasis theirs). Oops! The IMF is hardly alone in taking this position. Unsurprisingly, conservative economists and pundits continue to insist that high levels of inequality are necessary for economic growth—you don’t want things so equal that those sainted “job creators” go Galt on you, do you? But a growing number of economists are coming to believe the opposite. Joseph Stiglitz and Paul Krugman, for example, argue that inequality has slowed growth. Late last year, Jared Bernstein wrote this excellent report about the impact of inequality on growth. The report zeroes in on three theories about the relationship between growth and inequality that are particularly promising. First, there are the demand-side theories. These theories are based on differences in marginal propensity to consume among different income groups. We know that low-income consumers are more likely to spend every last dollar, while high-income consumers tend to save. The idea is that, in a high-inequality economy, there’s less spending, and hence less growth, because the non-rich have lower incomes and thus less money to spend. In this paper, economists Heather Boushey and Adam Hersh cite research supporting this theory. Second, there are political economy theories. According to this model, high levels of inequality cause the political process to “become increasingly solicitous of the preferences of the wealthy.” These preferences include what Bernstein refers to as “anti-Keynesianism and pro-austerity fiscal policies resulting in slack labor markets and output gaps”—in other words, macroeconomic policies associated with slow growth. Research by political scientists such as Larry Bartels and Martin Gilens, which shows that Congress tends to be extremely responsive to the preferences of wealthy constituents and far less so to everyone else, lends support to this interpretation. Finally, there are inequality and credit busts. This theory holds that growing inequality causes low- and middle-wage incomes to stagnate. To keep from losing ground, many low- and middle-wage earners rely on credit and go into debt. At the same time, high-income households have more money and seek more investment opportunities. Both these developments—rising debt, and the increasing demand for investment opportunities—lead to risky financial innovations and a growing financial sector. Instability in financial markets results, and there are crashes and a “credit bubble-and-bust” cycle. This IMF paper by Michael Kumhof and Romain Rancière and this working paper by economists Barry Z. Cynamon and Steven M. Fazzari explore this theory. Now, back to that new IMF paper I mentioned at the beginning of this post. The study, which examines a number of countries over many years, doesn’t control for variables like private debt or political representation, so it’s hard to say which of the theories best fit the data. The most you could say is that the data is not inconsistent with the demand story. The more important question concerning this research is how the IMF will use it. 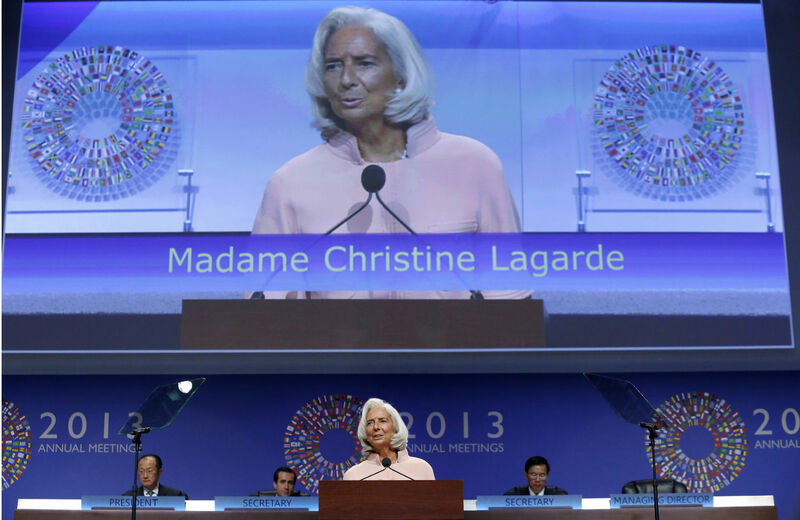 In recent years, the IMF has undertaken some welcome progressive reforms. Unfortunately, however, it’s still blinkered by a neoliberal ideology that advocates slashing taxes for the rich while balancing the budget on the backs of the poor and the middle class. But now it’s released its own highly publicized research showing that equality is associated with faster growth. The implication is clear: new IMF development policies should recommend redistribution and investments in public goods like health, education and infrastructure. Similar policies are working in Bolivia, to name one country that’s had great success reducing inequality and growing the economy through redistribution. What is the IMF waiting for?